Good to know there are “Safe Hands” guiding Ontario…guiding Ontario further into debt and further down the road to where California and Greece have been. It’s not a road I choose to follow. The “Safe Hands” of Kathleen Wynne and Yasir Naqvi are planted deeply in your pockets taking your hard earned money from you to their friends. The appointments of Sandra Pupatello as the chair of the OPG and Neala Barton as Senior VP of the PanAm Games are latest examples of these “Safe Hands” helping their own. Both have deep ties to the Liberal Party of Ontario and deep ties to Dalton McGuinty. “Safe Hands” have paid out over half a Billion dollars in severance packages to the Former CEO the games, Ian Troop. The severance of the two SVP’s recently released of their duties at the games has not been released, but their payout will push the amount paid up to Gas Plant territory, over One Billion Dollars. The “Safe Hands” of Kathleen Wynne and Yasir Naqvi have introduced a Political Transparency Bill. 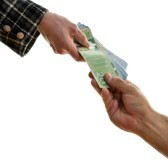 Some measures in the bill can be traced back directly to actions of the current Ontario Liberal government. Unwieldy spending to compensate the Executives of ORNGe, eHealth, the PanAm Games and OPG are going to punish other sectors where properly compensated expertise is required to run efficient organizations. The best that can happen is that true Political Transparency occurs, a Provincial Election. An election where the McGuinty-Wynne-Naqvi Governments can be held to account for the billions that could have helped all of Ontario rather than the select few friends of the Liberal Party. The Political Transparency Bill also addresses the handling of government documents. The bill specifically identities the destruction of documents, sound familiar? The McGuinty-Wynne Government is currently being investigated for deleting emails related to the closure of the Oakville and Mississauga Gas Plants. It is time for “Strong Hands” and positive steps to create jobs, an environment for manufacturing growth and a government Ontario can count on. “Strong Hands” for a #BetterOntario. This entry was posted in Uncategorized on March 26, 2014 by redheartbluesign.